Yes exactly. 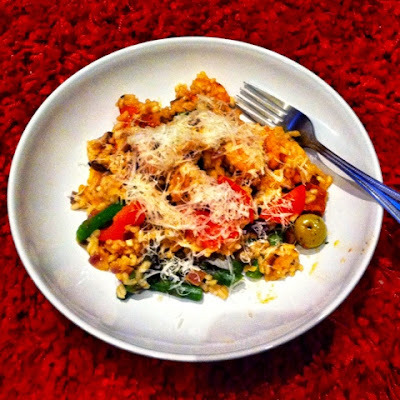 That's paella with asparagus and manchego cheese. Well it seems rude not to make the most of the asparagus season while it's here, I think this is probably the last we'll see this year (unfortunately). This meal was nominally chosen by MOH. We were in Sainsburys having one of those "there's-nothing-for-tea-so-we-should-get-something-but-I've-no-idea-what" type of conversations and MOH piped up paella. Now we just needed enough of the ingredients to fit a recipe. And we needed to do it from memory. We did quite well with this one, it was supposed to have chicken but we'd bought prawns but that's not such a bad swap. Other than that we were set. 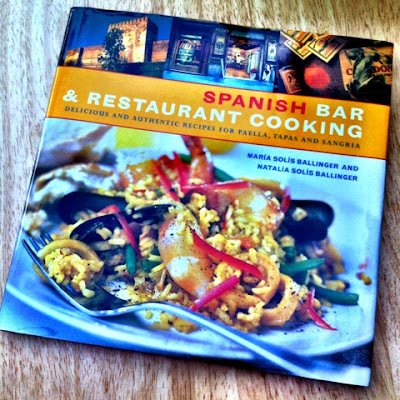 The book I've used this week is likely to be less well known than others I've used and is "Spanish Bar & Restaurant Cooking" by Maria and Natalia Solis Ballinger. It was a birthday present many years ago to MOH after a trip to Spain, most likely Barcelona (which we love - because it's mad there!). 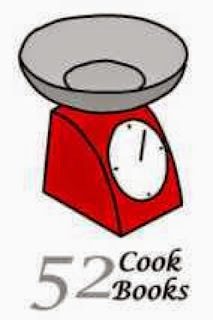 The recipe says it serves six, so we cooked two-thirds of it planning to have some left over. However it didn't quite work out that way as it was so nice we both had seconds, and then it wasn't really worth saving what was left... so we ate that too! I can't claim this is an authentic paella but it was tasty and didn't hang around for long. It needed more stirring than I expected which meant it didn't get the baked-on rice bottom, which is a yummy side product of paella, but that didn't prevent either of us hoovering this up! But all in all a good recipe, and an alternate way to use asparagus. I almost forgot to take a picture hence the rug background!